Hi guys! Today is a super awesome and an exciting day! The premiere of the new season for Pretty Little Liars. I don't have a lot of television shows I watch or keep up with but this is definitely one of them. I started watching this show with my boyfriend last year while we still long distance and trying to do things 'together'. He loved it immediately, haha. I'm re-watching all of last season throughout today as I swatch and do some art. 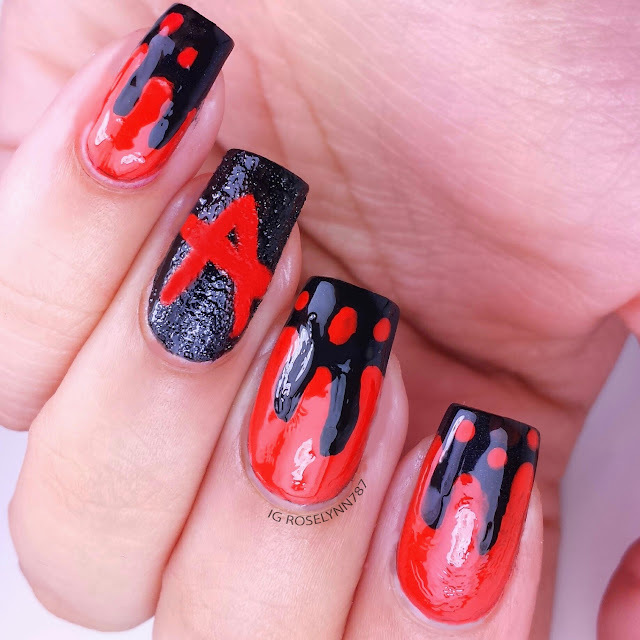 Speaking of art, my nail bestie and me decided to do Pretty Little Liars as the theme of our own made-up #bestietwinnails challenge. 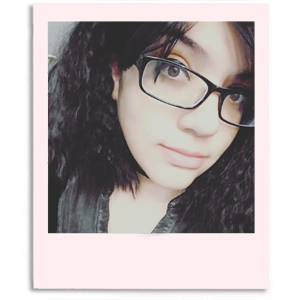 I'm not a 100% thrilled with how mine came out, but definitely not terrible (at least not bad enough for me to delete and not show you guys). The one thing I do love is how the letter 'A' came out. It took a lot of layering. When I say 'a lot' I'm really not being modest about it. I spend at least an hour layering the red for a bright and opaque look. I wish I would of counted the number of brush strokes, haha. At first I was going to make this a matte design but I'm glad I decided against last minute. The glossy effect really makes it stand out (the topcoat is by Polish Me To Go). 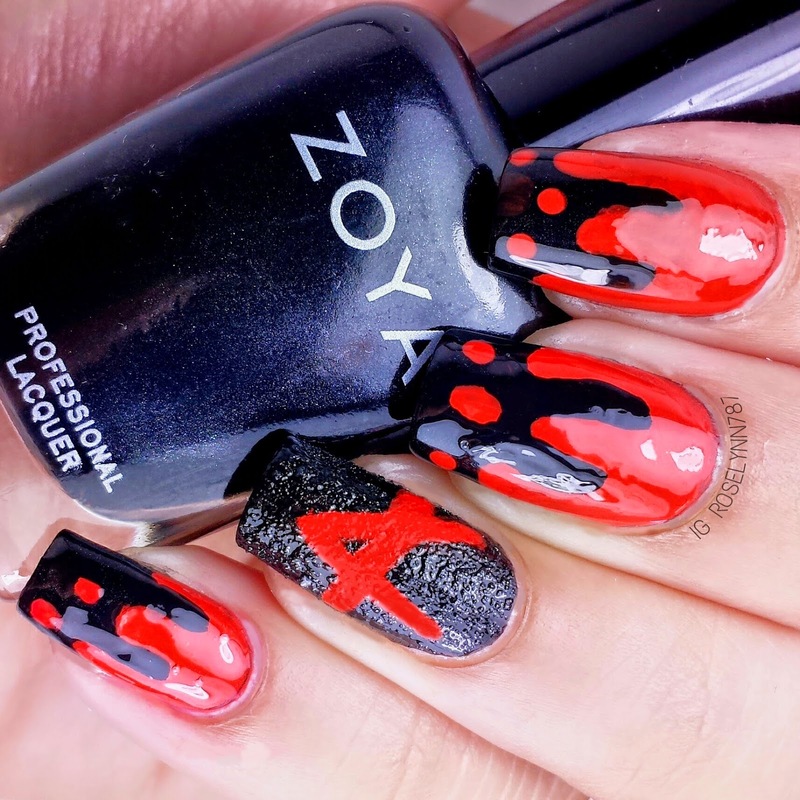 Polishes used: Zoya's Raven (my favorite black polish), Sally Hansen Insta-Dry Rapid Red, and Sally Hansen Sugar Coat Lick-O-Rich. In addition to this, I used Crimson Red acrylic paint. I used the texture polish to make it look like the 'A' was spray paint against a wall. At least that's what I was going for, haha. Overall I wish my dripping blood/paint was a little bit more realistic. Oh well this is good practice for Halloween. I really hope you guys like my nails! So will you be catching the new episode tonight?